This White Baby Headband is 1/2" wide. Just perfect for any age! So adorable! Shipping was fast and the headband was extremely well made. I bought it for my daughters christening but she has worn it a few other times as well. 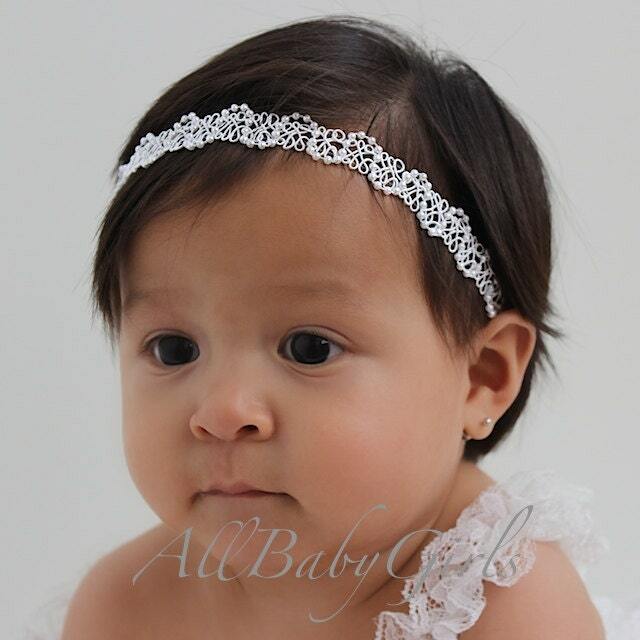 The headband for my daughters christening is absolutely beautiful!! So delicate looking with just enough pop! I love it!